You’ve worked hard to establish a reputation and develop a strong network of clients. Now, expand your income potential by partnering with Dixon Leasing and experience a range of benefits that others just can't provide. We specialize in high-quality single- and multi-family townhouses that are individually designed, show amazingly, and shatter neighborhood rental records so that YOU can impress even your most discerning clients. Get on Dixon's weekly e-mail list. Don’t miss the chance to maximize your earnings through a constantly updated selection of premier homes that pay one-month OP for every deal you close. With over $270,000 in commissions paid out in 2016, there’s plenty of money to make. Sign up to receive weekly updates on hot properties and never miss a new listing! Different clients require different solutions. 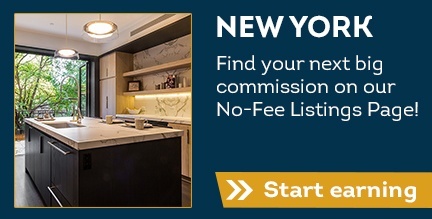 No matter what they want, you’ll be able to provide the perfect no-fee home in Manhattan, Brooklyn, and Jersey City. 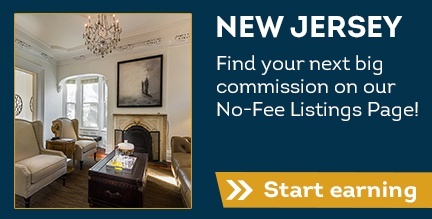 Remember, no-fee doesn’t mean “no commission,” instead you AND your clients both reap the financial rewards. Explore all the inventory we have to offer across the NYC Metro area! When you give your clients a package of complementary features including: hassle-free maintenance, private outdoor space, and a 24-hour hotline, you’ll be giving them something that’s nearly impossible to come by when renting a townhouse. Happy clients means more referral business for you down the road; a true win/win indeed. Check out all the amazing features that you can pass onto your family of clients! Stop wasting time juggling showings with multiple landlords and spend more time closing deals. Dixon helps you maximize your time by taking the brunt of the work. You’ll enjoy the convenient ability to schedule appointments seven days a week across a wide variety of homes and locations with just the click of a button. Find out more on how to simplify your showings! As an entrepreneur, your name IS your business. Our goal is to help you expand on that reputation through weekly listing updates, professional whitepapers to up your game and loads of highly sharable neighborhood content including restaurant guides, top fives and points of interest for the hottest places in NY and NJ. Start off with five easy steps on how to stand out in the crowd!